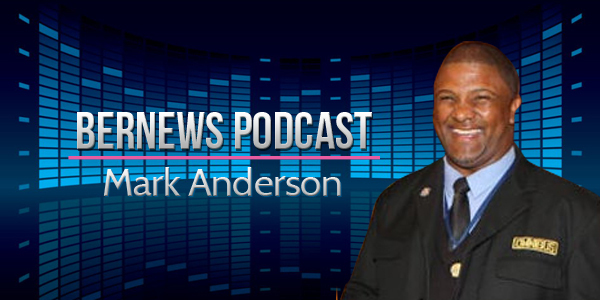 Mark Anderson always seem to have a smile on his face and a good word for everyone. He has won numerous awards recognising his ambassadorial role and has raised thousands of dollars for charity. Underneath that, though, there is a story of a man who was beaten at school for being a ‘sissy’, who was beaten by his step-father and whose grandfather ceased to have any meaningful contact because of his grandson’s homosexuality. He said it was his grandmother who at one family lunch came out and told everyone gathered that “Mark is gay”. “I just went under the table,” said Mr Anderson, who was about 14-years-old at the time. “My mother was very distraught. She knew, but was in denial. “My grandpa was very close to me, he would take me everywhere. Overnight he stopped taking me places. It was the shame that his grandson was gay. “He told me on his death bed that he loved me,” said Mr Anderson about the one real father figure in his life. Eventually he went to the USA where he found like-minded people as well as help in coming to terms with his homosexuality. He says he also found people who became drug addicts and alcoholics or killed themselves because they could not be who they really were. He came back to Bermuda in 2006 to make a stand for gay people and entered the Bermuda Day Parade – refusing to comply with a ban designed to stop him appearing. Mr Anderson laughs with embarrassment when he tells a story of how a young girl called him a “living legend” and told him that she was writing about him. Bernews’ podcasts aim to provide an in-depth look at current affairs and different issues affecting the Island, and the text extracts above represent only a small portion of the full interview. You can also download the episode in MP3 format here, view past podcasts here, and subscribe via iTunes, or download the Bernews app and enjoy advance listening, with each episode available for download directly to your phone or tablet earlier than it is released on our main site. It’s people like Mark who make the real difference. And REALLY bad for Bermuda. And what exactly is it that you know about his ‘lifestyle’ ? All you know is that he’s gay . And in case you didn’t know it a large percentage of gay men and lesbians get home after work every day (if they’re still lucky enough to have a job) and stay home , go to bed alone , and lonely , and then go back to work the next day . Many , because they have no attachment to others , help others and do charity work . And most of them are completely unrecognizable (invisible) to anyone else . I’m shocked that your stupid use of the term ‘lifestyle’ wasn’t followed by the word ‘choice’ because they usually go hand in hand . In sorry. Whats your point? He has every right to disagree with his homosexual lifestyle. No he doesn’t its discrimination which by the way is illegal. cry me a river of tears! what about all the non homosexuals and non lesbians who come home everyday after working and are too tired to do anything, are alone, go to bed alone? So maybe there is no difference in perceived ‘lifestyles’ after all ? Not to worry , it’s obvious you’re not alone when it comes to not understanding the point that others are sometimes trying to make . I’ll send a box of kleenex over to you . Are there bigots out there trying to keep them that way? Is there a group of people out there that are working to keep those folks that way for absolutely no reason whatsoever? How are you missing the point this badly? Bermuda/Bermudians need to get their collective heads out of their backsides on civil rights, which includes civil rights for ALL people, including marriage equality. Regardless of any prehistoric, hateful religious teachings to the contrary, this is a simple matter of right and wrong. Hate is wrong; all hate. Yeah all, except if you smoke a harmless plant that is wrongfully illegal, then you’re on your own. but what does that have to do with gay marriage?? no one is having their basic human rights denied if they dont get to legally smoke pot. lol. They’re not? That’s exactly the idiotic, narrow minded foolishness you claim to oppose, hypocrite! People are imprisoned, fined, denied employment, housing and people have been brutalized for using a plant, including those using it medicinally but the courts and you don’t care, your comment displays a disregard for the rights of anyone else except LBQGT. Screaming equal rights for all, respect for diversity, hate is hate, blah, blah, blah, yet you “lol” when someone gets arrested for a spliff, shows your true colours. Ganjaphobia can be cured with a little research, knowledge and some respect, peoples lives have been ruined over a harmless plant that authorities should have no control over. We are all born with an endo-cannabinoid system, scientifically proven. why is marriage a “basic human right?” please list what is NOT a basic human right. Thank you Mark, yet again! You’re continuing to open eyes, hearts and minds. Keep it up! Good to hear a diverse range of the Bermudian experience. I will give it a listen when I have some spare time this evening. Keep it up Bernews. Mark, God loves you and we love you. Never forget that. I am so sorry that your family want not better equipped to love you for who you are. Don’t forget that God made you exactly the way he wanted you to be: Perfect just the way you are. Best of luck and thanks for being such an important role model for our young. Full credit to Mark Anderson for speaking out and trying to prevent others having the same unhappiness he struggled through . We Bermudians like to boast that we are a nation of warm generous people , and in many ways it is true . Discriminating against a group of people because of their sexual identity is un-Bermudian , and it should be beneath us all . It is wrong to hold against somebody something they have absolutely no control over , whether that is having black skin , or being born gay . We are better than that . My problem is that the OBA is saying how under populated we are. They are willing to literally sell status and give status to almost anyone. SSM doesnt help with our population problem at all. They are not “literally selling and giving status to almost anyone”. You can’t believe much you read on the internet and the crap you people write on here is no exception. You’re so full of shite it’s unbelievable. First off, as mentioned, it actually does, in some instances. Secondly, why should it have to help with our population problem? What does that have to do with marriage equality? Does our population problem have anything to do with marriage as it stands now? If stories such as this do not persuade the zealots of the rightness of SSM, nothing ever will. and others.They are not ,born,drug addicts,the same applies to thieves,murderers,and any illegal or unacceptable behaviour,public or private.They do not flaunt it in public or ask that it be acceptable,as public behaviour.Homosexuality is a learned behaviour,and since it is a learned behaviour,it can be unlearned.Peace. Complete nonsense and an example of a complete misunderstanding of… Well, everything. Being an ignorant religious bigot is a learned behavior too. It can be unlearned. We don’t live under Sharia law, despite your preferences. Seriously your views sound medieval! People are not homosexual by choice. Seriously who do you think you are. You are so full of hate. Nothing in here is true. It’s just hate-filled, violent ranting. Bermuda deserves better than this. and you are just spouting your usual buzz phrases because you are filled with anger, dazed and confused. when are you going to order a cake that says “Love Wins” at a local bakery, take if home, add text and claim the bakery is homophobic? That’s what you lot do and what you are. I’m not the one supporting hate and discrimination and lies. But angry? Yeah. I’ll cop to angry. Frustrated. Because it’s impossible to have a lucid conversation about this. Because people that I love are being denied access to rights and privileges. They’re being denied happiness and are being driven out of their own country because of ignorant, hate-filled bigots that think their personal choice of religions should be forced on other people. And that last pathetic dig? Come on. Trying to pretend like I’m not making points that you can’t address, asking questions that you can’t answer without exposing your hate and ignorance and privilege. Acting like it’s the pro-equality side that’s being dishonest when you resort to weak, cowardly tactics like this? You want “my usual buzz phrases”? How about this one? Do you have a single valid argument against marriage equality that stands up to the slightest scrutiny, one that you are willing to defend? If so, let’s have it. Let’s have that conversation. Let’s see you actually defend your position with the courage of your convictions. If not, go back under your rock… under your hood of anonymity and hide like the rest of the cowards. You are a true Bermudian hero Mark.